OTTAWA – April 18, 2013 – Recycle My Cell – Canada’s free cell phone recycling program – is encouraging all Canadians to participate in Earth Day on Monday April 22 by recycling their old mobile devices. Results from the 2012 National Cell Phone Recycling Study, released today, show that 41% of old cell phones are stashed away in junk drawers as opposed to being recycled. 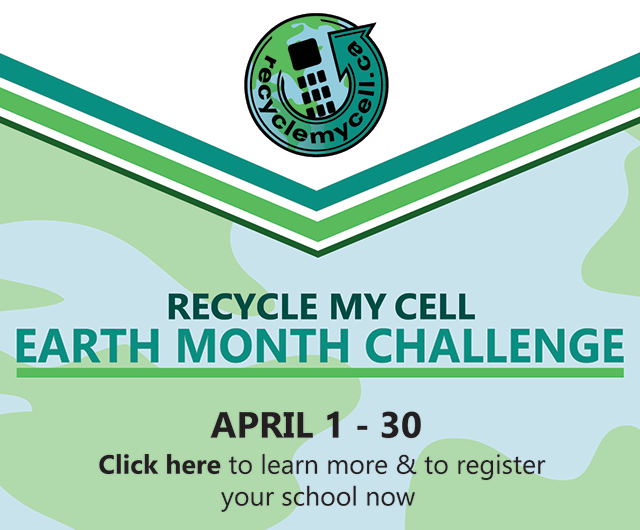 Recycle My Cell makes cell phone recycling a free and easy way to participate in Earth Day. Consumers who visit the bilingual Web site – www.RecycleMyCell.ca and www.Recyclemoncell.ca – can enter their postal code to locate the 10 drop-off locations closest to them where their devices will be accepted, regardless of brand or condition. If a consumer is unable to get to a drop-off location, the Web site provides printable postage-paid labels to use for mailing their wireless devices. The program accepts all cell phones, smartphones, wireless PDAs, pagers, accessories and rechargeable cell phone batteries. 93% of cell phone owners will purchase a new cell phone as opposed to a used or refurbished device. The average cell phone user keeps their new device for 22 months. 71% of respondents indicated they were likely to recycle their cell phone in the future. Those who have used the Recycle My Cell program rated a high level of satisfaction with using the program (95%). Not only does Recycle My Cell keep old cell phones out of Canada’s landfills, the proceeds from the recycled devices contribute to numerous local charities, such as Food Banks Canada. Businesses can also support the Recycle My Cell program by hosting a drop-off location. Registration is quick and easy with all materials provided at no cost. For more information, please visit https://www.recyclemycell.ca/host-a-drop-off-location/ or contact info@recyclemycell.ca. Visitors to the Web site will also find some e-waste facts and figures, including links to provincial e-waste management sites. There is also a downloadable brochure and a series of frequently asked questions, as well as information about how consumers can clear their device of all personal data before dropping it off for recycling. Recycle My Cell was created and is maintained by the Canadian Wireless Telecommunications Association (CWTA) in conjunction with cell phone carriers and handset manufacturers who have come together to raise awareness about the importance of cell phone recycling. The program’s partners include: Bell, BlackBerry, Dell Canada Inc., Eastlink, GEEP Inc., GREENTEC, LG Electronics Canada, Inc., Lynx Mobility, Mobilicity, Motorola Mobility, MTS, Nokia, Rogers Communications, Samsung Electronics Canada Inc., SaskTel, Sims Recycling Solutions, Sony Mobile Communications, TBayTel, TELUS, Videotron, Virgin Mobile Canada and WIND Mobile. All of the processors involved in the Recycle My Cell program are ISO certified or verified to be operating in conformance with the requirements of the Electronics Recycling Standard (ERS), so they all have environmental management systems in place that guarantee accountability and knowledge of the environmental impacts associated with recycling. Site visitors with any additional questions can contact a representative by e-mail at info@recyclemycell.ca, or call the toll-free support number at 1-888-797-1740. Recycle My Cell is Canada’s national recycling program for mobile phones and accessories. The bilingual Web site – www.RecycleMyCell.ca and www.recyclemoncell.ca – allows consumers to simply enter their postal code to locate the 10 drop-off locations closest to them where their devices will be accepted, regardless of brand or condition. The free program is run by the Canadian Wireless Telecommunications Association (CWTA), in conjunction with cell phone carriers and handset manufacturers, who have come together to raise awareness about the importance of cell phone recycling.